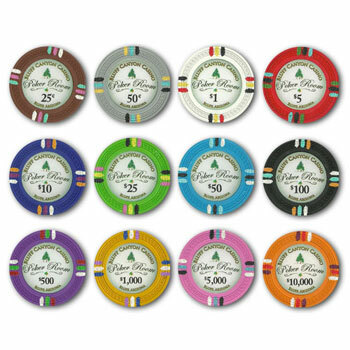 Looking for the ultimate poker chip set? 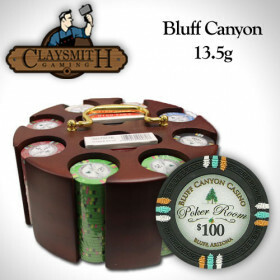 This Bluff Canyon 500pc poker chip set features some of the highest quality poker chips available for home use and comes in an incredible mahogany case! 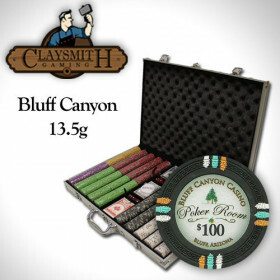 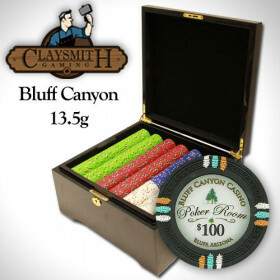 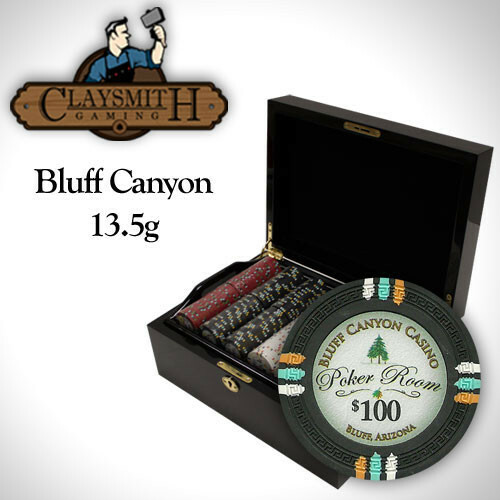 500 Claysmith Bluff Canyon clay composite poker chips. 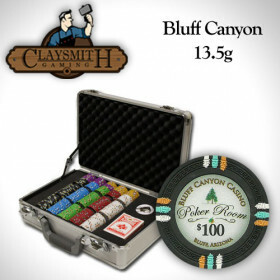 Start playing right away with the included 2 decks of playing cards, 5 dice, and a free dealer button! 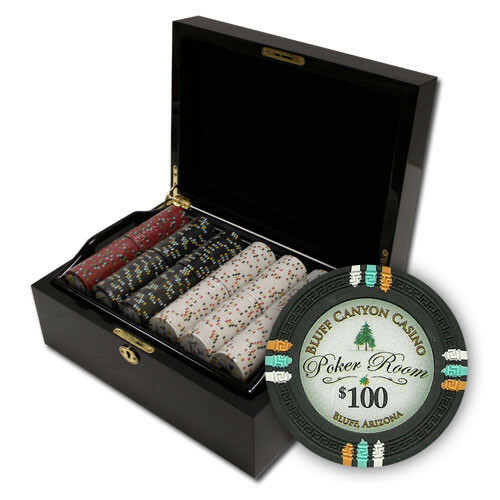 Store your poker chip set in this beautiful mahogany poker chip case. 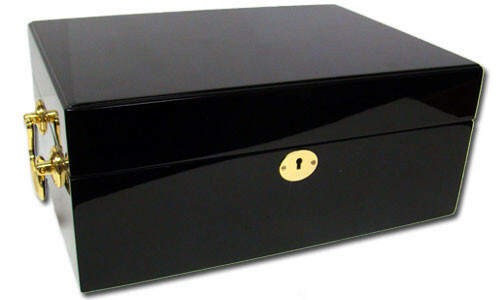 One of the finest chip cases available, the fine quality mahogany wood is lacquered to a high gloss black finish and simply looks incredible! 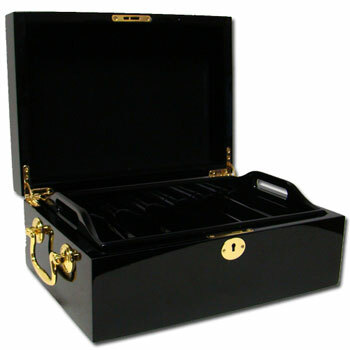 The handles and clasps shine and contrast with the case nicely. 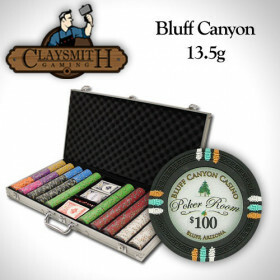 The case stores up to 500 chips and has a removable tray that holds 300 chips. 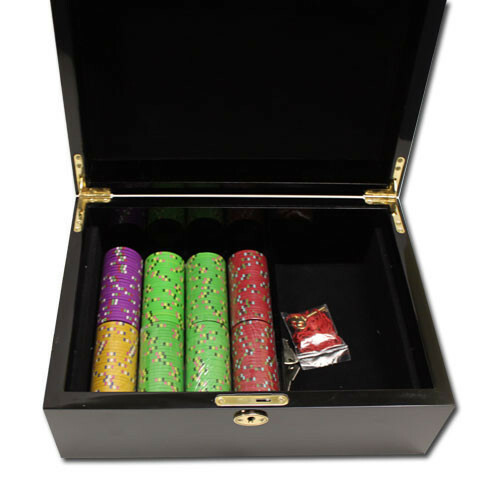 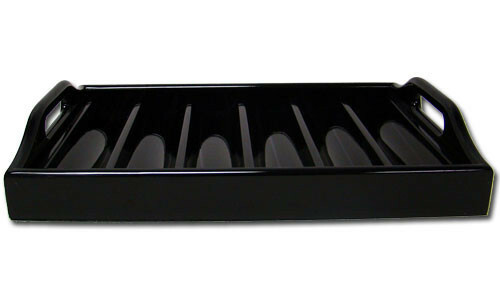 Below the removable tray is room for 200 more chips, as well as space for cards, dice, or other accessories. 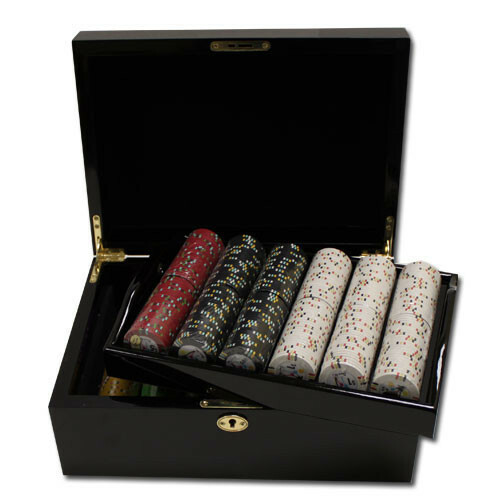 Stop hiding your chips in the closet and get them out on display. 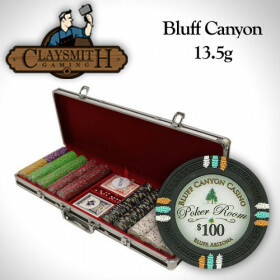 This fantastic storage case looks great on any table and will invite your guests to challenge you to a game at any time.